Typically records management is for inactive records, which by very definition are records that are no longer being accessed frequently, if at all. This makes it easy to put those records in a deep, dark corner of your facility or a storage unit never to be thought of again. But it is not that simple. Due to the understanding of the industry since years, we are indulged in presenting an extensive gamut of services such as Records Management Services. Apart from this, for rendering these services we have hired highly skilled, trained and knowledgeable providers after testing there skilled & past experience. Records are significant and distinct source of facts and data, which provide specific information. The IT revolution has resulted in the escalation of electronic document systems. 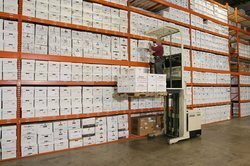 Unprocessed records are invaluable to the organization and individuals. Managing data, evidences and records effectively simplifies one’s task. Storing your household goods with us or any other product for that matter with us in our warehouse is not only the safe but also cost effective; No matter how ever long the period you wish / have to stay away from your house, You will not have to worry about the theft and otherwise safety of your products. Records management , or RM, is the practice of identifying, classifying, archiving, preserving, and destroying records. We at IBS identify , classify , archive , Data for you. With wide experience in banking line we give you best possible Solutions for Record Management in Both the Discipline i.e. Managing Physical Records and Managing Electronic Records. 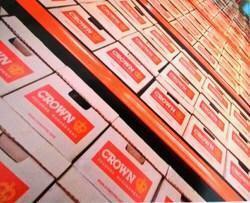 With our objective to satisfy our patrons, we are offering Stock Record Management Services. In this service, we employ creative ideas to complete this service as per the patron’s demand. These services are extremely well-liked due to their timely completion. This service is handled by expert team who has opulent industry practice.